A Goniometer is an instrument that either measures an angle or allows an object to be rotated to a precision angular position. Goniometer or goniometric stage is a device used to rotate an object precisely, within a small angular range, yet at a fixed point in space. 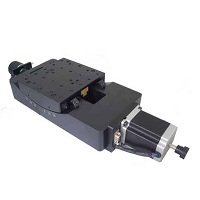 Motorized Goniometer Stages rotate at a fix and rigid point above the top surface of the stage. 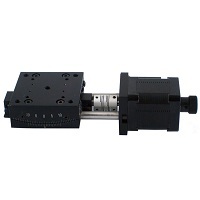 It is aimed to rotate an object precisely, within a small angular range.